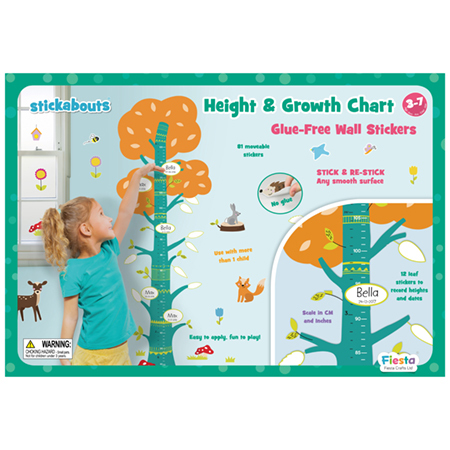 Track how fast they grow with this beautiful nature themed height chart. Measuring from 50 to 120 cm, this wall sticker makes a fantastic decorative piece in any room. Simply stick the main pieces on to a clean, dry wall and use the Marker Leaf to record the date and height of your child. The height chart wall sticker can be used with up to 2 children. There are also extra decorative stickers that can be moved around and used to encourage play. All the stickers are glue free and can be removed and repositioned without leaving sticky residue behind. The height chart wall sticker contains 81 pieces.